Supanames was taken over by 123-reg a few years ago. This wasn’t something that affected me initially and I continued to use my Supanames account as always. However when recently trying to install the latest version of WordPress I found that the version of MySQL was not compatible with the latest upgrade. I contacted 123-reg who informed me that there was no plan to upgrade old Supanames hosting and so with great reluctance I began to make preparations to move over to the more up to date 123-reg hosting. The first thing to do was to backup the database. This is remarkably simple to do using the Supanames MyPanel interface. 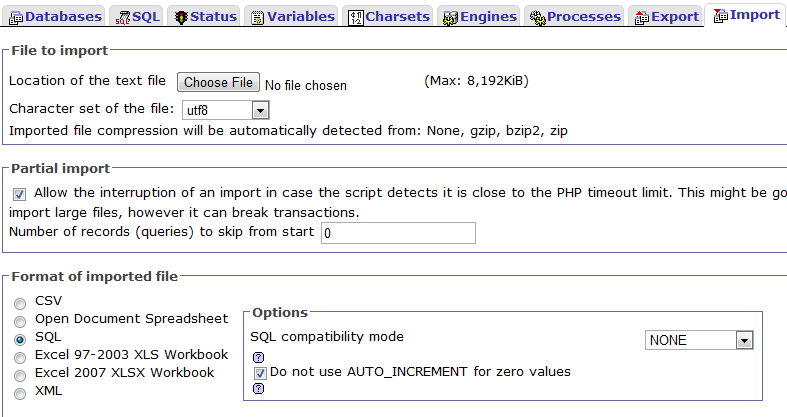 Go to MyPanel and then in the Left-hand menu choose MySQL DATABASES, MySQL Backup Submenu. Click on the link on the next page in MyPanel to Backup your Database. If successful, you will receive a message confirming the backup has been completed. The backup is zipped and stored on the root directory of your web space. Having done this I then downloaded my entire site via FTP (I use Filezilla) including the zipped database backup. I am fortunate that I don’t have hundreds of email boxes consider, all mine are hooked into gmail accounts and I have records of the alternate addresses. So I contacted the account holders to inform them that their mail would be down for maintenance. Once this was done I gave 123-reg the go-ahead to close down my old Supanames hosting and fire up the new one. This was ready to go in a couple of hours and the first thing I did was re-establish the mail boxes and send instructions to the users on how to reconnect. Next I FTP’d the entire site back up to the root directory so that it had exactly the same structure as it did before. Select the previously downloaded backup via Choose File and then hit the Go button (you should be able to leave all other settings at default). Hey presto your database is restored. Now for the configuration. You need to edit your wp-config.php file typically found in the root directory of your web space. Enter the database name, user and password against DB_NAME, DB_USER, DB_PASSWORD respectively (you can get the database name from the Add Database screen). On the old Supanames hosting the host name (DB_HOST) was set to ‘localhost’ this now needs to be set to the server name. 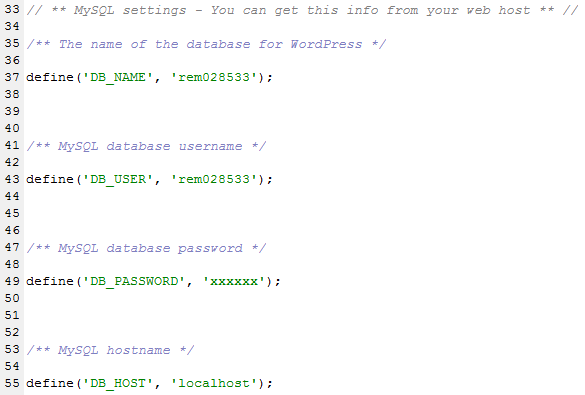 Once done save wp-config.php back to your web space. After doing this I was pleased to see my front page (this blogg) functioning correctly, however when I selected any of the links I was given a 404 Not Found error. A quick Google and my suspicions were confirmed, it was something to do with the permalink structure I was using. I found a number of solutions and didn’t like any of them much so before trying any of them I went into my WordPress Admin and selected Settings -> Permalinks. I did not change any of the settings, merely selected the Save Changes button. This completely fixed my problem, so I urge you to try this before one of the more complex and possibly dangerous solutions on the net.